How to send PDF file from Android Phone to online hosting server and store PDF on server using application. 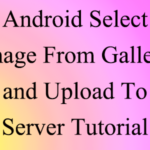 In this tutorial we are going to upload PDF file from android application to our online hosting server. 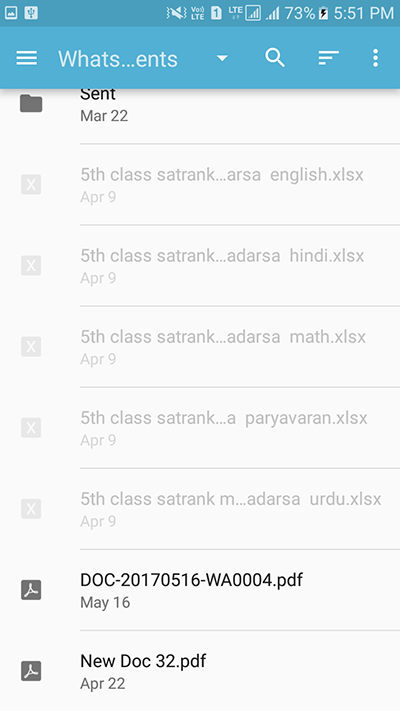 We are using UploadService uploading library in our project, this lib helps us to upload file online to server by showing notification ProgressBar inside notification Area. 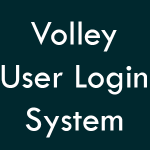 We are using PHP Script to receive the PDF along with its name . 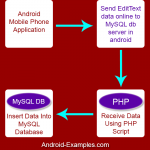 So here is the complete step by step tutorial for Upload PDF File to Server in Android PHP MySQL. 1. 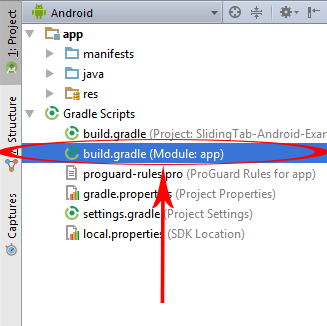 Open you project’s build.gradle(Module:App) file. 2. Type compile ‘net.gotev:uploadservice:2.1’ inside dependencies block . 3. 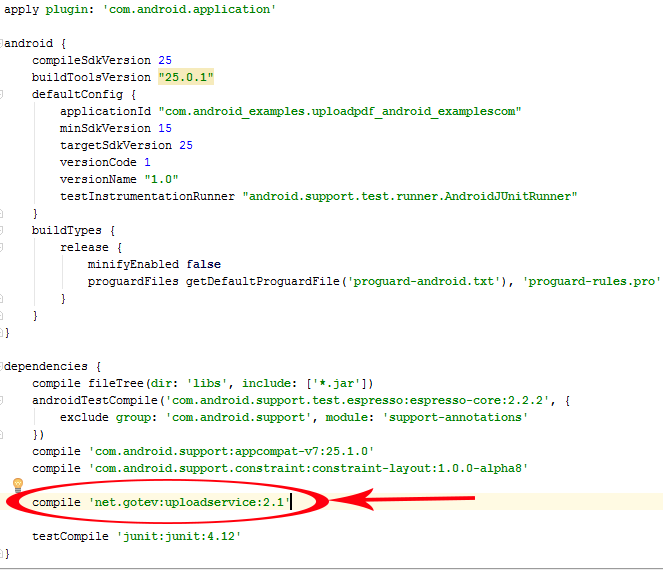 Now add Internet permission and Read External Storage permission inside AndroidManifest.xml file. 4. Create a table on your hosting server with three columns id, PdfURL and PdfName . 5. 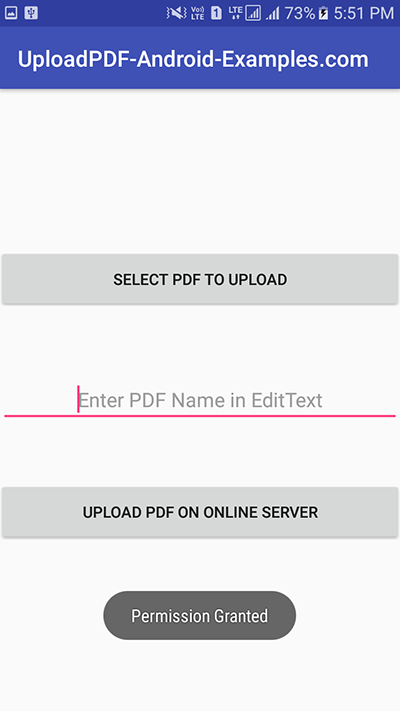 Create a folder on your hosting server name as PdfUploadFolder in which the uploaded PDF will store. 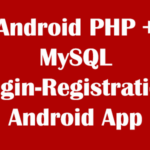 How to Upload PDF File to Server in Android using PHP MySQL. // Pdf upload request code. 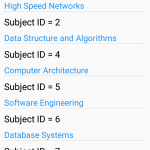 // Define strings to hold given pdf name, path and ID. // Method to enable runtime permission. 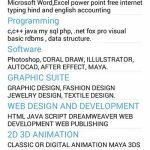 // Assign ID'S to button and EditText. // PDF selection code start from here . // Setting up default file pickup time as PDF. 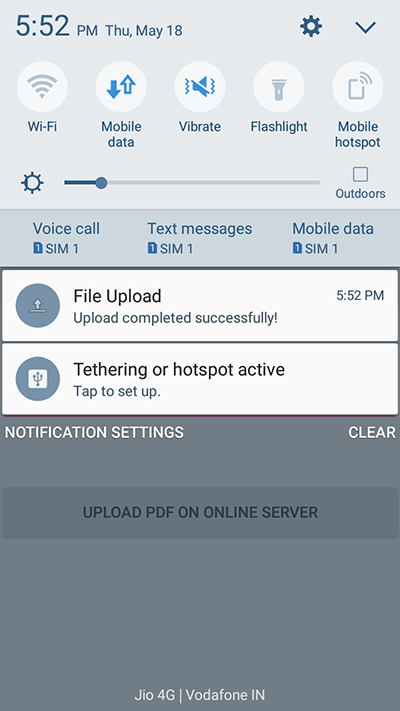 // Adding click listener to Upload PDF button. 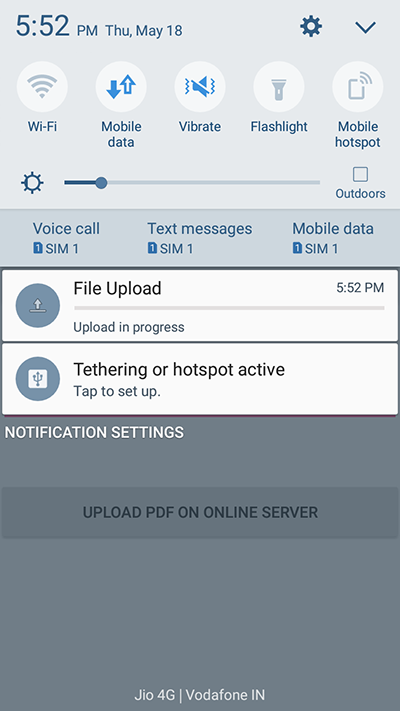 // Calling method to upload PDF on server. // After selecting the PDF set PDF is Selected text inside Button. // PDF upload function starts from here. // Getting pdf name from EditText. // Getting file path using Filepath class. // If file path object is null then showing toast message to move file into internal storage. // If file path is not null then PDF uploading file process will starts. // Requesting run time permission method starts from here. * Created by Juned on 5/18/2017. 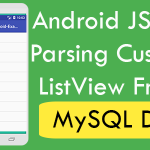 android:hint="Enter PDF Name in EditText"
android:text="Upload pdf on online server"